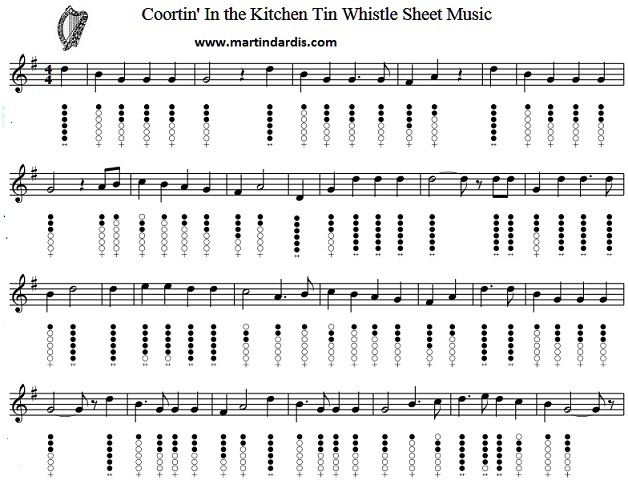 Courtin In The Kitchen Sheet Music And Tin Whistle Notes - Key Of C. Recorded by The Dubliners with Ronnie Drew singing. The youtube video may not be in the same key as the music. To download this free music notes right click and save image.